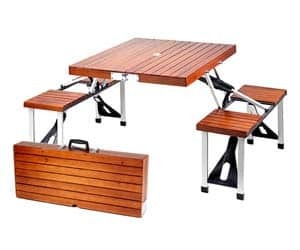 Now you can set up a picnic in style with this portable suitcase picnic table! Packs neatly away inside the suitcase and only weighs 22lbs. No more eating on the floor with the bugs!